Summer is the best time to indulge in crabs, especially young crabs bearing rich, creamy coral. 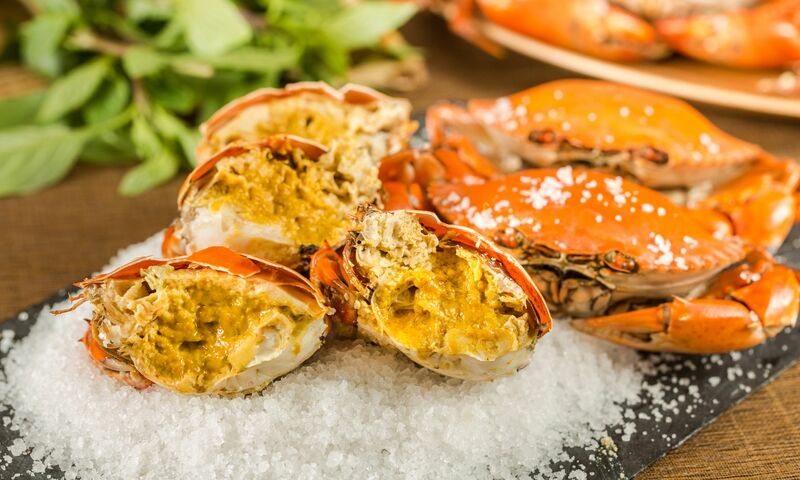 Celebrated for its richness, the yellow oil ‘yim tsai’ crabs are at their peak this time of the year. Megan’s Kitchen, Wan Chai’s esteemed Cantonese restaurant, is launching a celebratory feast of the crustaceans’ harvest in a showcase from now until the end of August. Guests can indulge in various methods of preparation for these beloved crabs, from steamed and accompanied by homemade Chinese red vinegar to baked with coarse sea salt and served with homemade aged vinegar. the popular crustaceans are limited in supply, requiring an advanced booking for guests. Online reservations can be made here.